We usually announce bike recoveries on Twitter, but it's not always possible to get the full story when you're limited to 140 characters. We've also found that so much more behind these stories comes out after we've had a chance to talk to the owners and the bikers, shops, and police who were involved in getting them back. There are a lot of people on the lookout for stolen bikes, and they're willing to go to amazing lengths to get bikes back to their owners. It never ceases to amaze me how strong the biking community is against theft. We're getting bike reports and inquiries from all over, every day, many of which are quickly turning into fast recoveries. Keep it up! The warmer it gets, the more bikes get stolen - but this year we are as ready as we've ever been to fight back against bike theft. With the ever-growing list of shops, partners, and blogs using the Bike Index and through promising developments like the new Portland Police Bike Theft Task force - which we are a member of - this is really shaping up to be a killer year for bike recoveries. Recovered: 03/21/2015 - " ... was recovered by my friend [redacted] while working for [redacted] Courier; some street/ junkie type folk were hiding it under a tarp in The Mission but not very well. Initially he thought it was a bike belonging to a fellow messenger, but after recovery he found it was not. I also texted [redacted] who owns the bike; [redacted] was married yesterday and is now honeymooning today so hopefully they can come retrieve the bike later. Cool site! 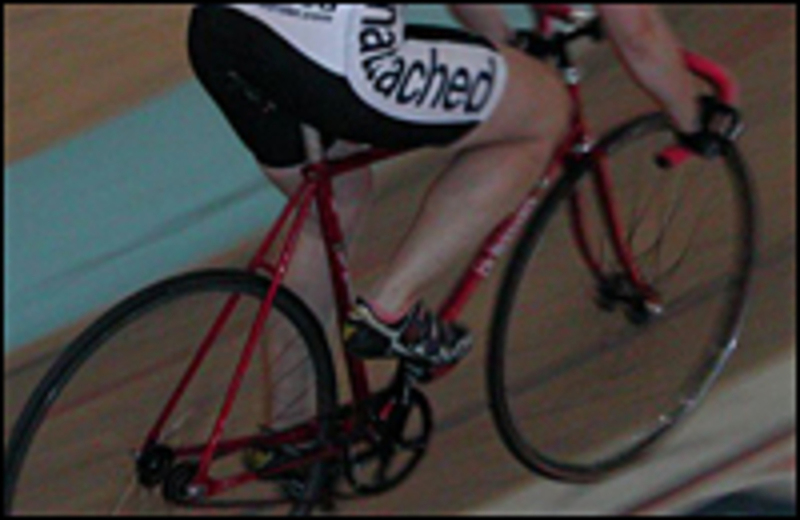 We ran a 'recoverd track bike' ad on Craigslist with no luck, so this website was a good resource." 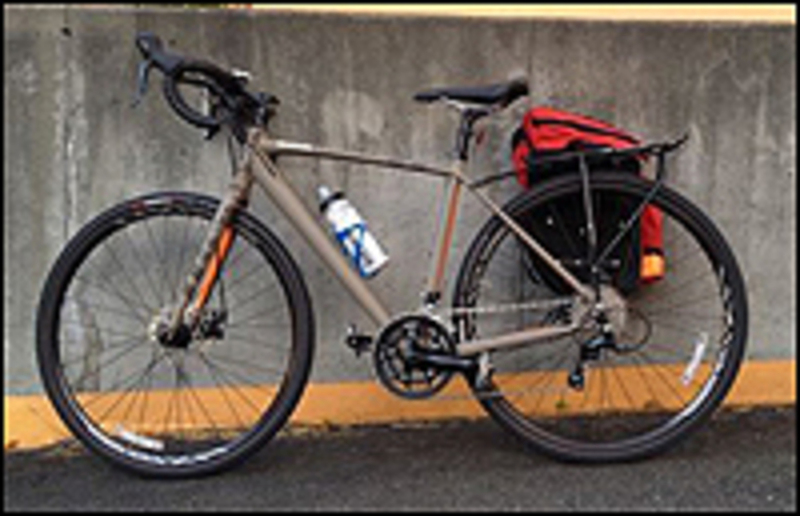 2014 Specialized Tricross Sport Disc Recovered: 03/20/2015 - "A super awesome person noticed that someone with a poorly fitting bike that left it unlocked and unattended at Ballard Pool. After checking Bike Index.org, she confirmed that it matched the description, serial and pedals of my bike, and notified pool staff. The police were called in, who then took my bike for safekeeping. Thanks Bike Index! I wouldn't have gotten my bike back without you! You guys rock!" 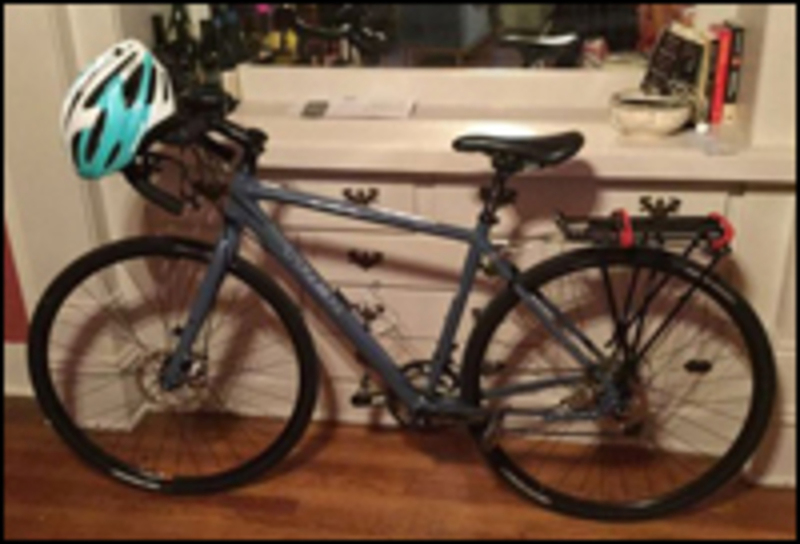 Recovered: 03/19/2015 - "My bike was stolen from a condo parking garage in Feb, the rack was cut and the U-lock slid off. About a week and half later I saw a 60cm Redline Metro Classic posted on Craigslist, with a stock photo of the bike in a different color" (BikeIndex: At this point the owner detailed their long, drawn out attempt to chase this Craigslist seller down. Craigslist, you are still a goddamn mess, an enabler of bike thieves, and you are nothing but a huge disservice to theft victims everywhere. Get your *** together please. -Bryan)* I began to notice on your twitter timeline many people pointing out to you and SPD that this lister had many underpriced bikes with a high turnover each day. I continued to monitor CL, but never saw anything again and figured I had missed my chance. (Later) I received a call from SPD stating my bike was one of many recovered (Bikeindex: in this police sting) the SN matched the police report. I went to claim it, it was missing the wheels and seat with the U lock still locked to the frame." 2014 Trek CrossRip Elite Recovered: 03/17/2015 - "It was stolen Friday the 13th (how unlucky) and then ... I got a message about it through Bike Index with the guy's number saying he had it. I called immediately and asked for a picture as well, and sure enough, he had my bike. He said it was just stashed by some trees in his yard and he had the mind to look on this website. He was such a nice guy and brought it to me at the bike shop. Honestly if it weren't for this website I probably wouldn't have ever seen my bike again.So thank you for making this website and helping turn around one of the worst things that has ever happened to me. She's in the shop receiving some TLC and he wouldn't even accept a reward and was just happy to be able to reunite me with my bike. 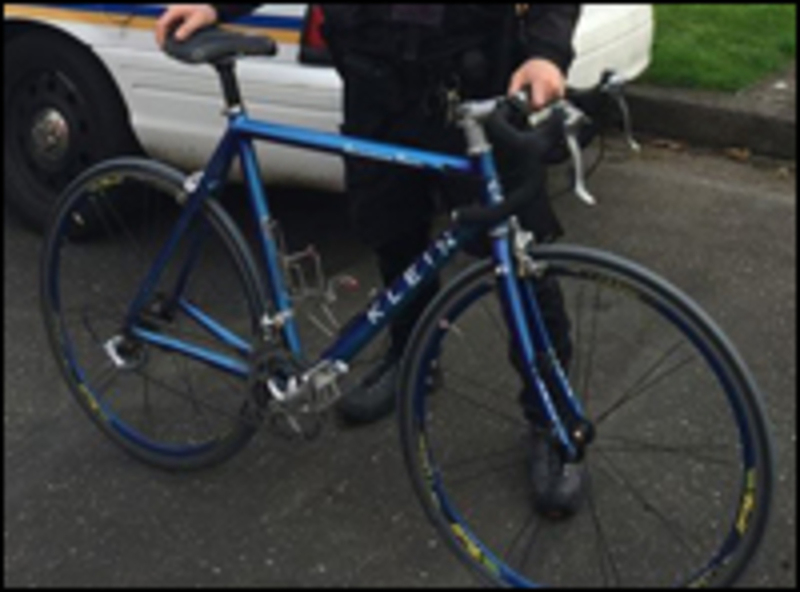 :)"
2002 Klein Bikes Quantum Race Recovered: 03/17/2015 - "Someone saw a chronic bike thief riding it and called the police. PPB Officer Scott found it locked at [redacted] He waited until the "owner" returned and asked if it was his. (This was someone different than the thief). [Bike Index: some redacted backstory here. Long story short, PPB = awesome.] The officer then called me and I relayed some details to prove it was mine. He brought it to me and then left to go arrest the two guys involved in the theft. I'm so thrilled and feeling so lucky to have it back undamaged. The good guys win!" 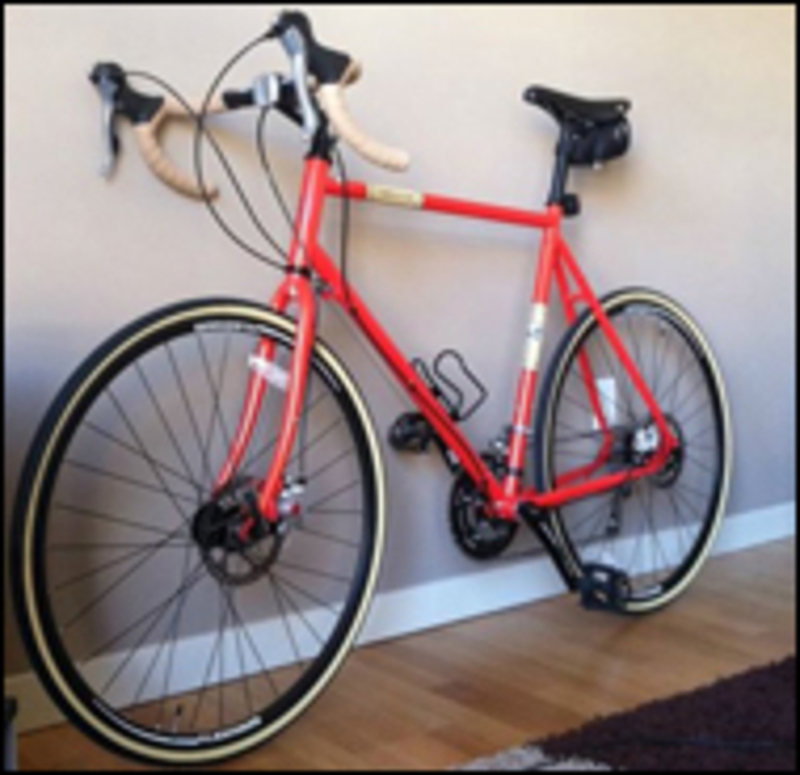 Recovered: 03/18/2015 - "Thanks again for your huge help with my bike theft. Absolutely it was your lead with Bike Index that helped with finding my wheels ... the cop saw my post on Bike Index.org and being an Ironman-in-training it resonated with him since he did one... he said he saw a dude riding around on a Turquoise Bianchi right after looking through the missing bike listings, and the guy insisted he had just bought it for $20. Knowing bikes, the officer yanked the bike off of him :) Thank you hugely !!!!" And that, folks, is how it's done :) I look forward to posting a lot more of these in the future.